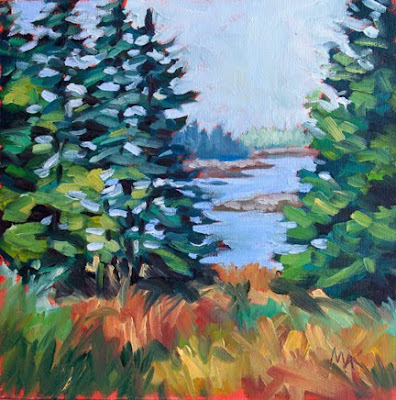 This is another from Vinalhaven, one of the pine and rock studded islands off Maine. Endless subject to paint, you can understand why so many artists come and spend months here. You are sure doing a lot of beautiful paintings, Mary Anne. I love coming here to see them and this one is a beauty. The colors in this are marvelous.